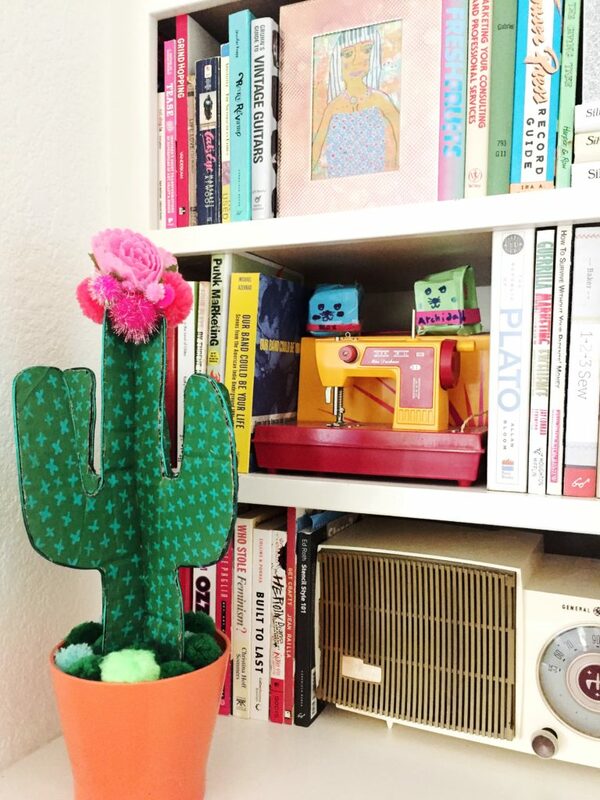 Calling All Plant Ladies – Craft a DIY Cactus From Cardboard! Who does not love a good cactus craft? They are on trend and these DIY cactus never prick you! 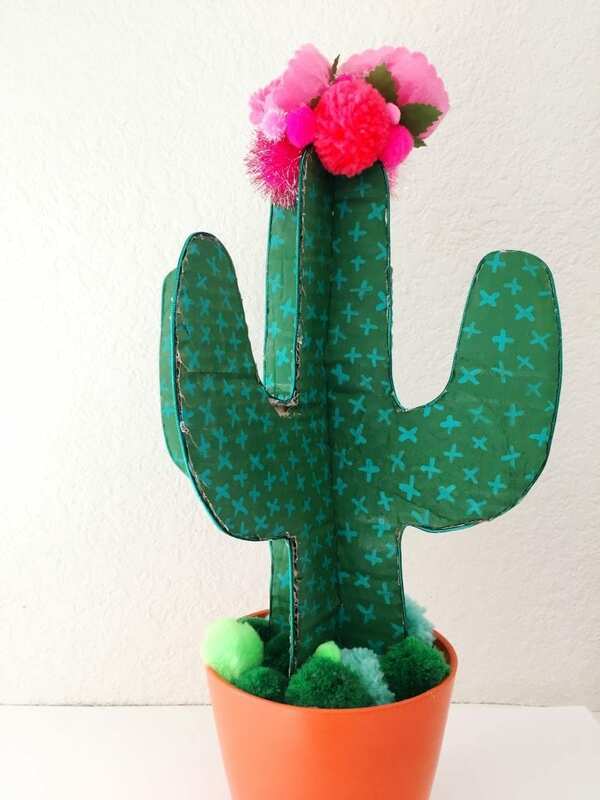 Better yet this crafty version is a cardboard cactus made from old box so it is recycled! These faux plant projects are stylish enough to appeal to adults, but easy enough for kids to make too. The hardest part is deciding which type of cactus you will make. I’ve got two different types of cactus crafts to share – a DIY saguaro cactus and a cardboard prickly pear complete with toothpick spikes. Both cardboard cacti are adorable and better yet can’t be killed no matter how brown your thumb is! 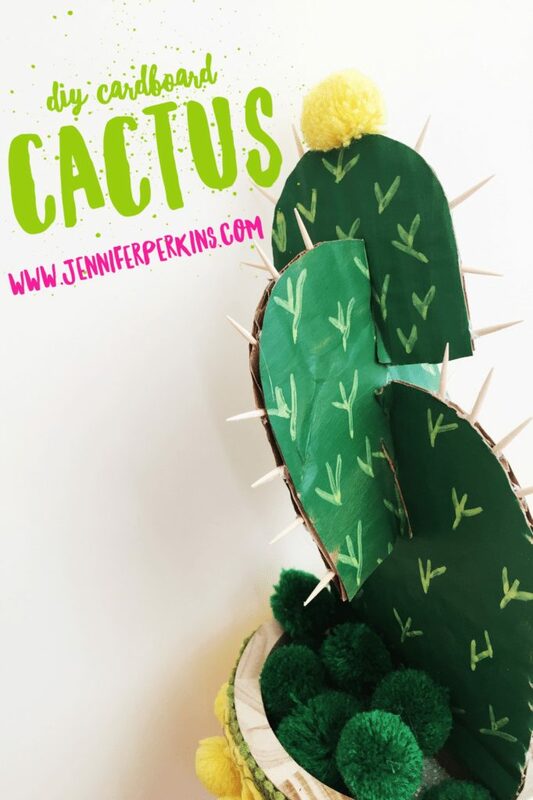 DIY This With Jennifer Perkins – Craft a Cactus Made of Cardboard Check out the how-to video I did for DIY Network all about making cardboard cactus – not just a saguaro, but a prickly pear too! Also, don’t forget the episode where I made Faux Felt Succulents and also the episode where I did rolling pin printing with a saguaro cactus motif. 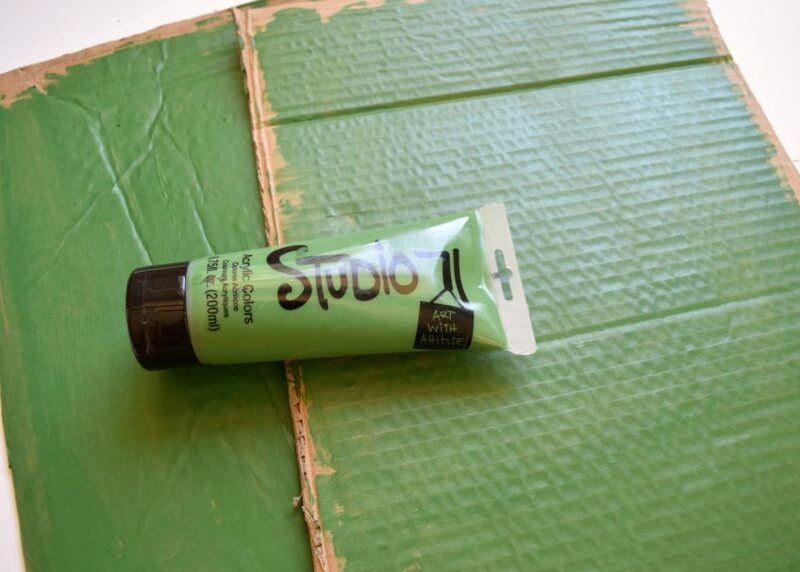 Step 1 – Paint cardboard with green craft paint. 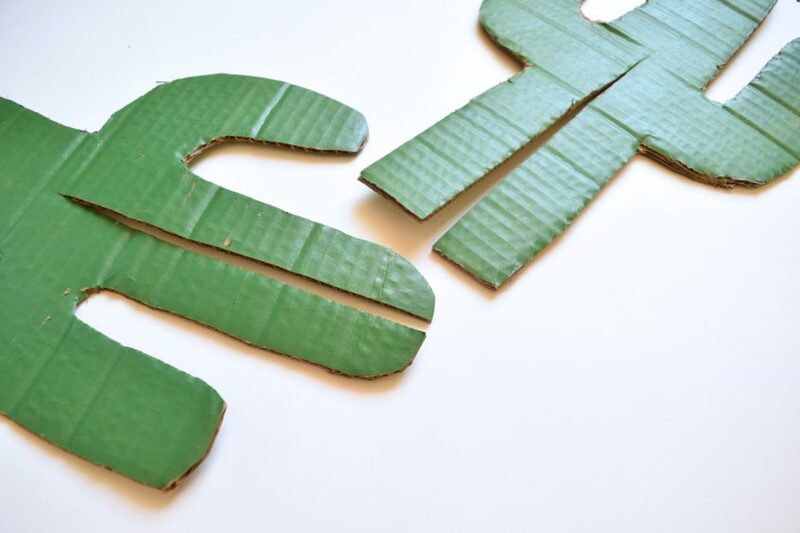 Step 2 – Cut out your cardboard cactus pieces. 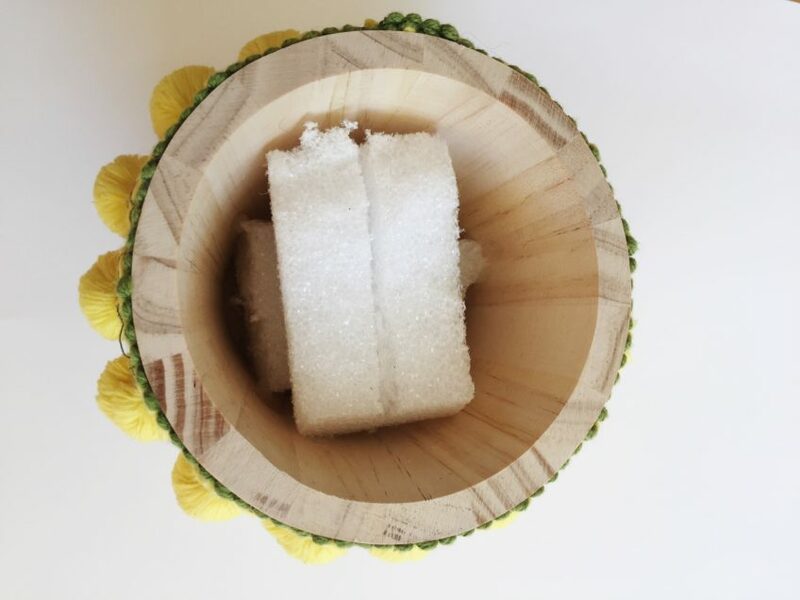 For the DIY saguaro cactus you will need two pieces of cardboard. For the prickly pear cactus craft you might include several paddles. The shape, size or paddle number of your cactus project really depends on you and how much cardboard you have on hand. Step 3 – Cut slits in the top and bottom of the saguaro cactus pieces. The cardboard cactus will fit together like a puzzle with the slits connecting them. This is what gives your DIY cactus dimension and makes it 3D. 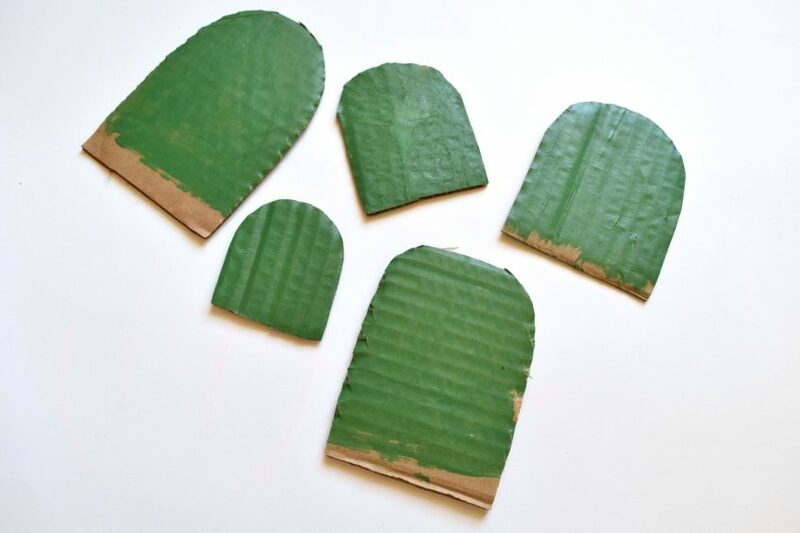 Step 4 – Add painted accents to resemble cactus spikes using a lighter shade of green paint. This pattern can be completely random. For the prickly pear DIY cactus use the tips of toothpicks for spikes. With a dab of glue poke the toothpick between the pieces of cardboard cactus paddles. Pompoms or flowers are a great accent on top. As we know, all things are better with pompoms. Add with hot glue. Step 5 – Glue foam into the bottom of a pot with a slit to hold the cardboard cactus in place. Once the pieces of your DIY cactus are assembled place them inside the pot and anchor into the foam with hot glue. The foam and glue make sure the cactus craft you just worked so hard on stays up right and does not tip over. Cover the foam with rocks or more pompoms. Step 6 – Assemble your DIY cardboard cactus and display. 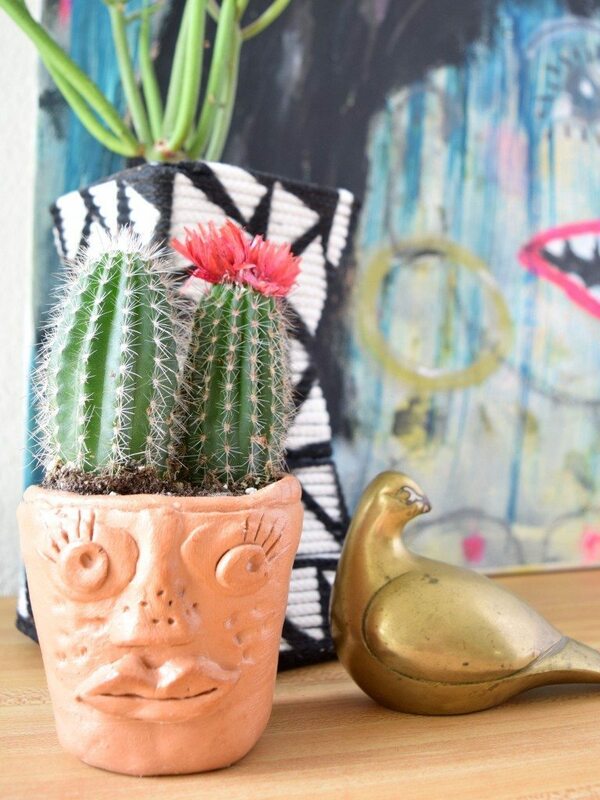 No watering necessary and better yet this cactus craft will never die even if you forget to water it. Which I hope you do, since you know it’s cardboard and all. Feeling on a faux cactus craft roll? Check out these painted cactus rocks too! Which crafty cardboard cactus style is your favorite? Team saguaro or prickly pear? It’s a hard choice, you might as well make both. 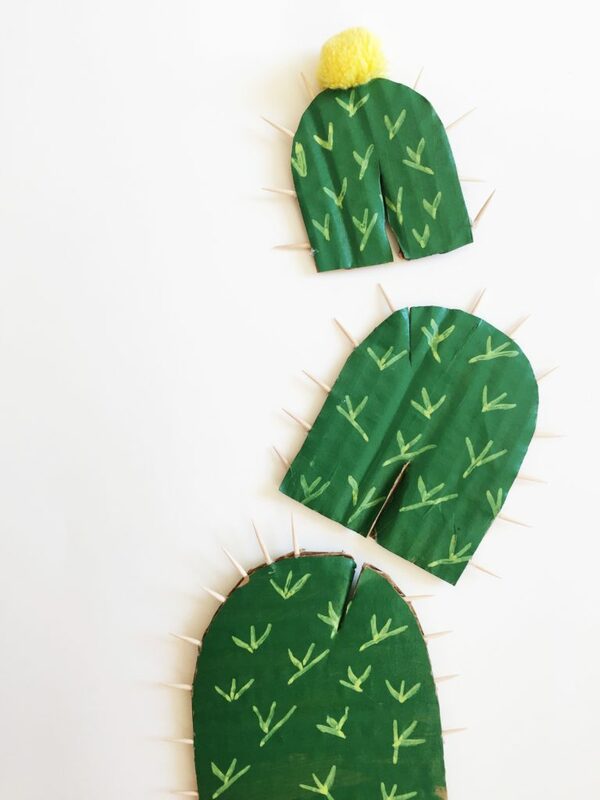 Want more cactus craft ideas? Keep reading. Air Dry Clay Embellished Planters – Making a planter with a face is easier than you think when it comes to this air dry clay planter project. Jump on the popular face planter trend. 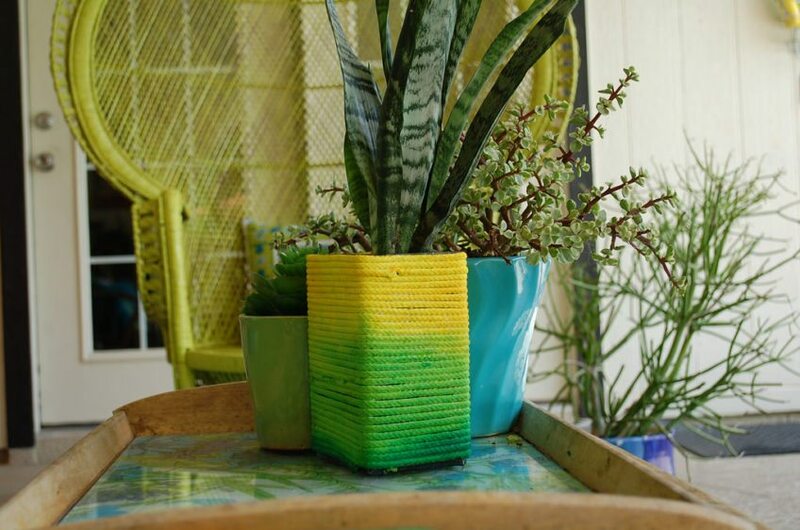 Dyed Planters – 3 Easy ways to DIY a planter with dye and cotton laundry cording! 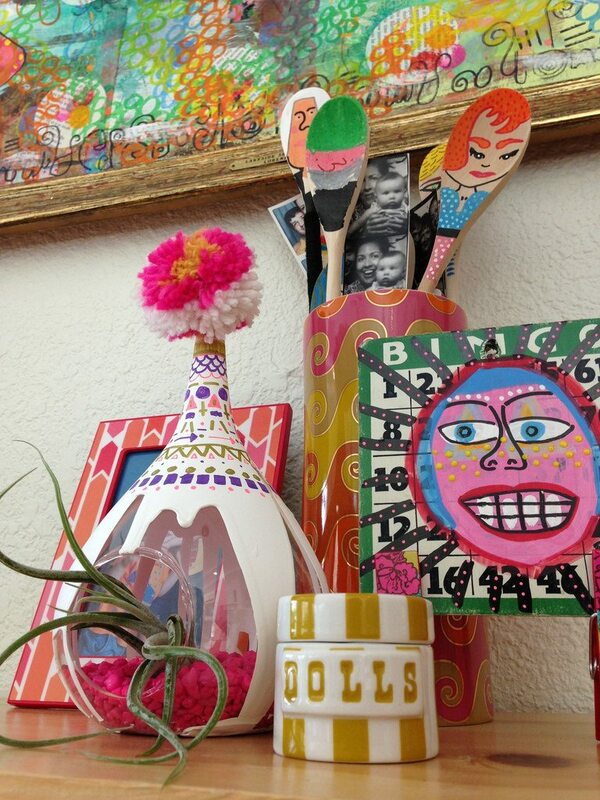 Customized Air Planters – Gel pens and paint markers are not just for paper. Try them on a glass for these decorative DIY air plant hangers. Posted July 1, 2017 & filed under Cinco de Mayo, Crafts, DIY Network/HGTV, Home Décor Crafts, Paper Crafts, Plant Crafts, Recycled Crafts.